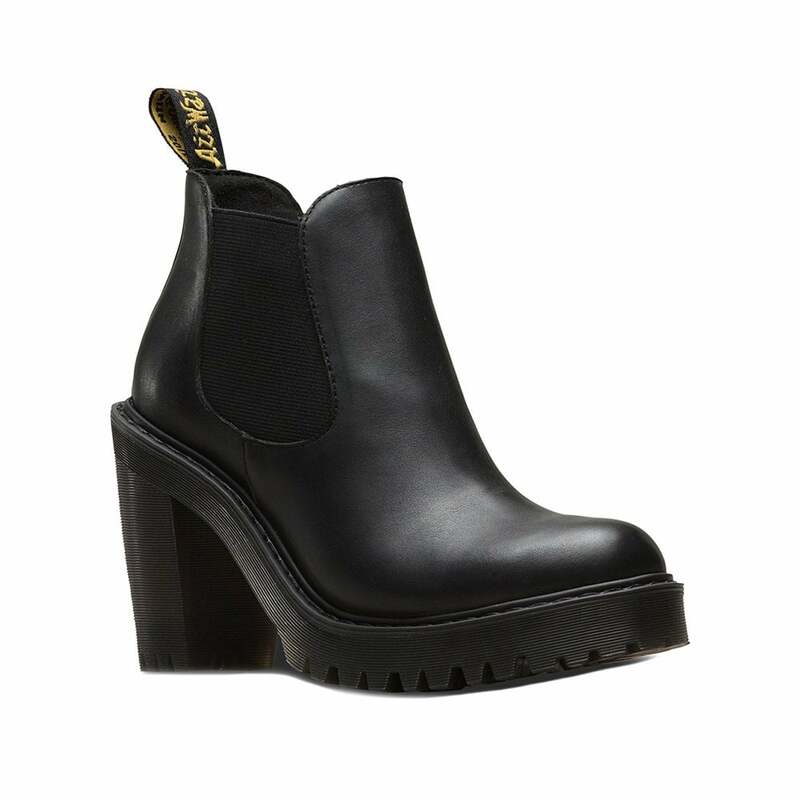 New to Scorpio Shoes for Autumn Winter 2018, the Hurston is a pull-on Chelsea boot style serving up an empowering 3.5 inch heel, plus a 1 inch platform. The Hurston womens Chelsea boot has black Sendal leather uppers - a semi-analine, natural look nappa leather with a smooth, full-grain finish. The Dr Martens Hurston has an elasticated gusset for easy fit, perfect for women on the go all day. A great, everyday boot, for those who value comfort, the Dr Martens Hurston leather Chelsea boots could be just the addition to your wardrobe that you're looking for - get your pair today at Scorpio Shoes!